Tranquil. An oasis. 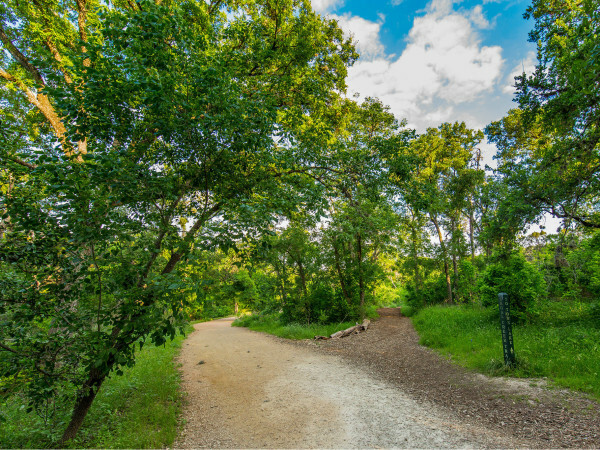 A meditative spot in the middle of Zilker Park. Peaceful. These are words from first-time visitors to the Isamu Taniguchi Japanese Garden, tucked away in Zilker Park. The garden provides one of the most outstanding views of the Austin skyline, along with a space to gather your inner peace and reflect on the beauty of the city. 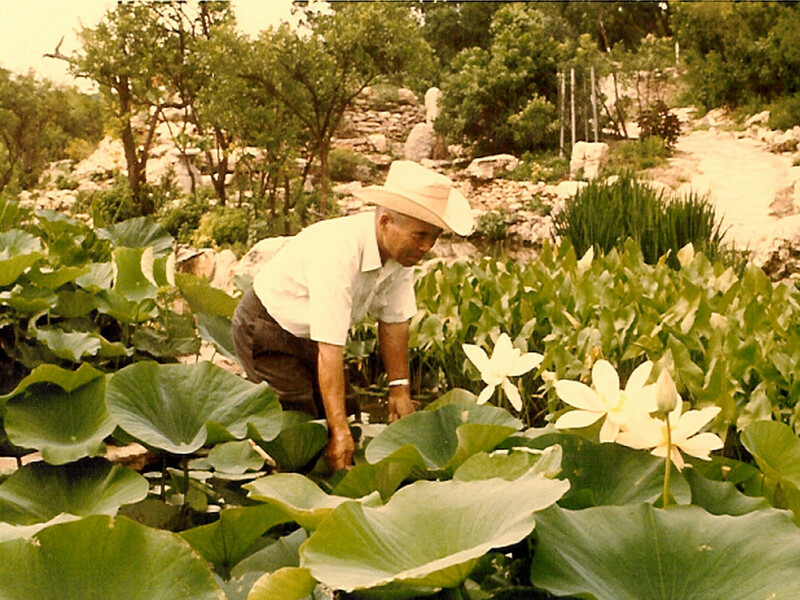 The garden opened in 1969 and was built by Isamu Taniguchi as a way to say thank you to the city for educating his sons at the University of Texas at Austin. Born in Osaka, Japan, Taniguchi began raising bonsai as a teenager. He moved to California in 1915, and during World War II he and his family were interned in California and Texas. 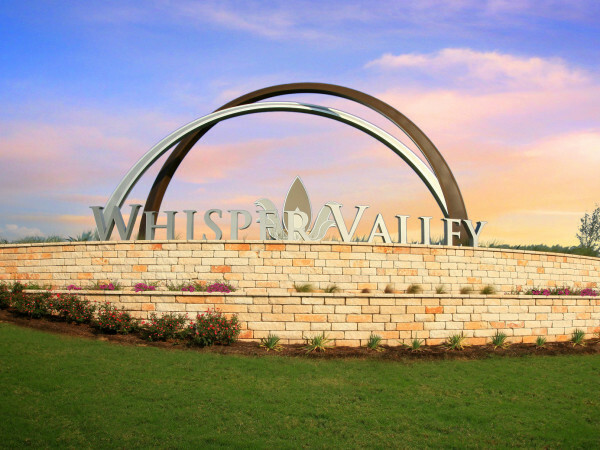 Later, he wanted to work on a garden promoting peace and tranquility, and his son Alan (then dean of the School of Architecture at UT) conferred with the Austin Parks and Recreation Department to identify the best property for his vision. 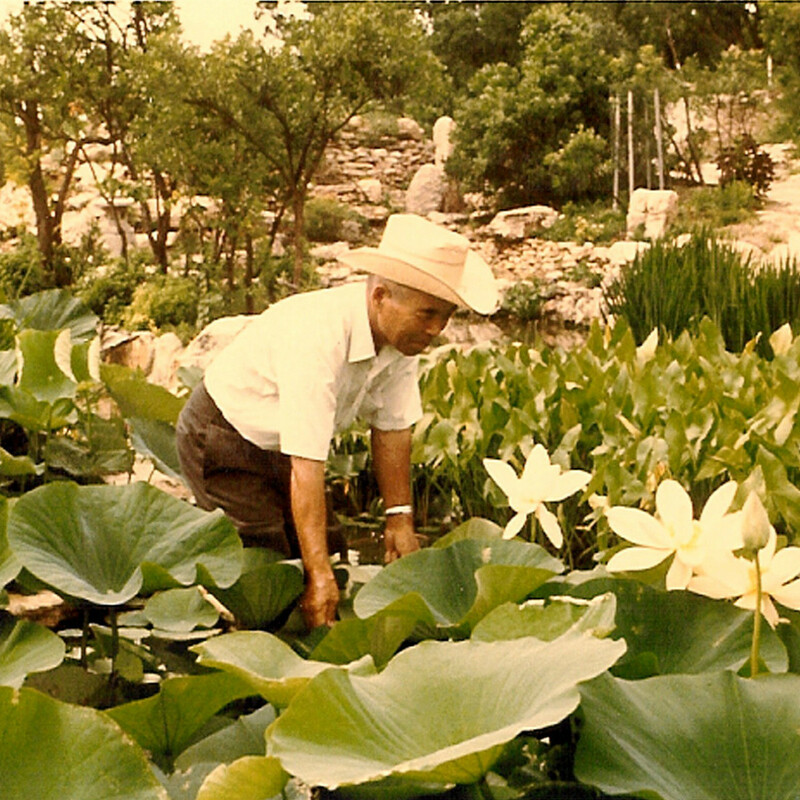 Taniguchi, at 70 years of age, worked tirelessly to transform a 3-acre portion of the Zilker Botanical Gardens into a luxurious and serene garden. 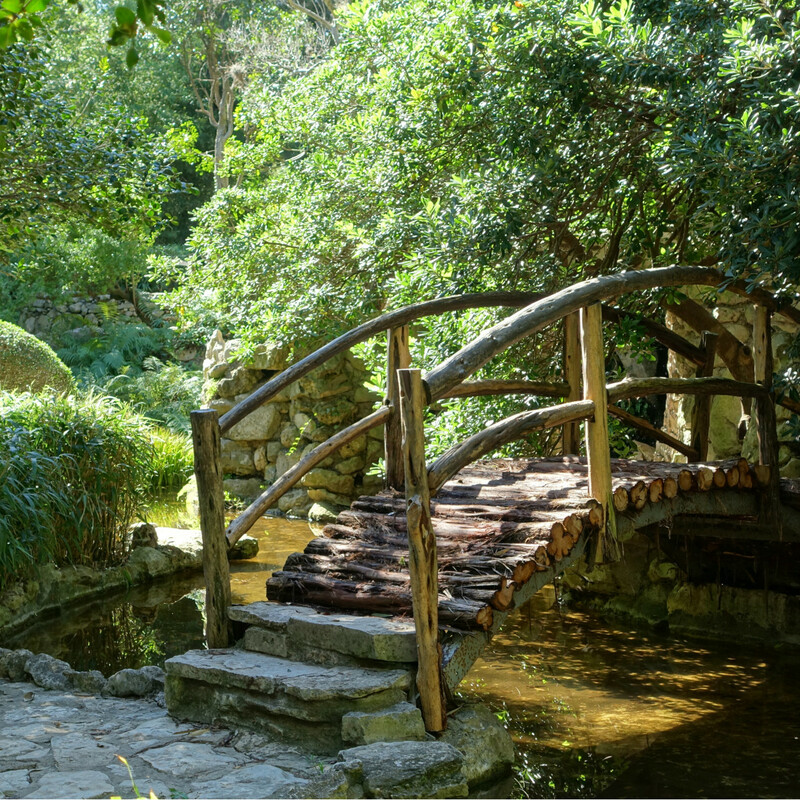 A slight man of just 5 feet 2 inches, he worked night and day for 18 months to build the garden, which includes decorative paths along a winding trail, a small waterfall, and numerous ponds. An arched bridge named the Togetsu-kyo, the "Bridge to Walk Over the Moon," takes advantage of reflections from a full moon. And following common custom in Japan, the garden ponds are arranged to spell out "Austin," representing the garden as a gift to the city. 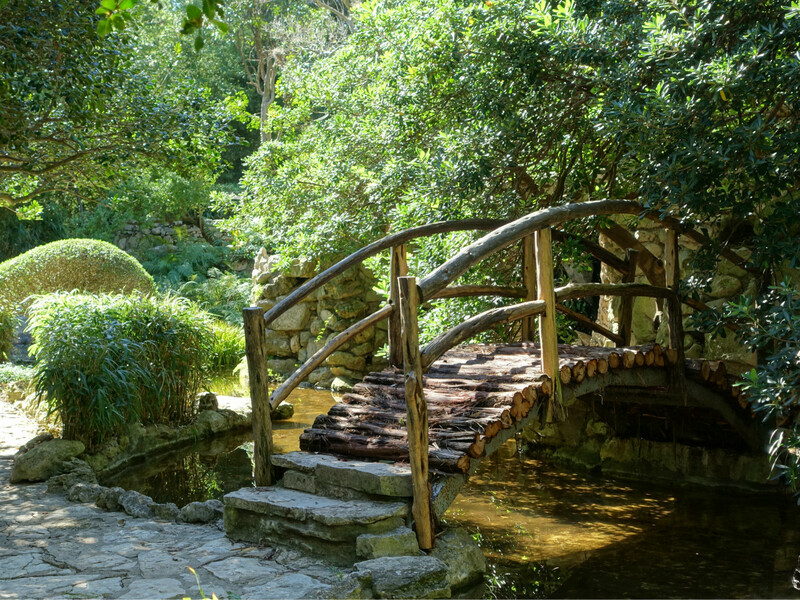 Since its creation, additions to the garden include the Stone Gates, a gift from Austin's sister city Oita, Japan, and a Japanese teahouse gifted from the Heart O' Texas Orchid Society. 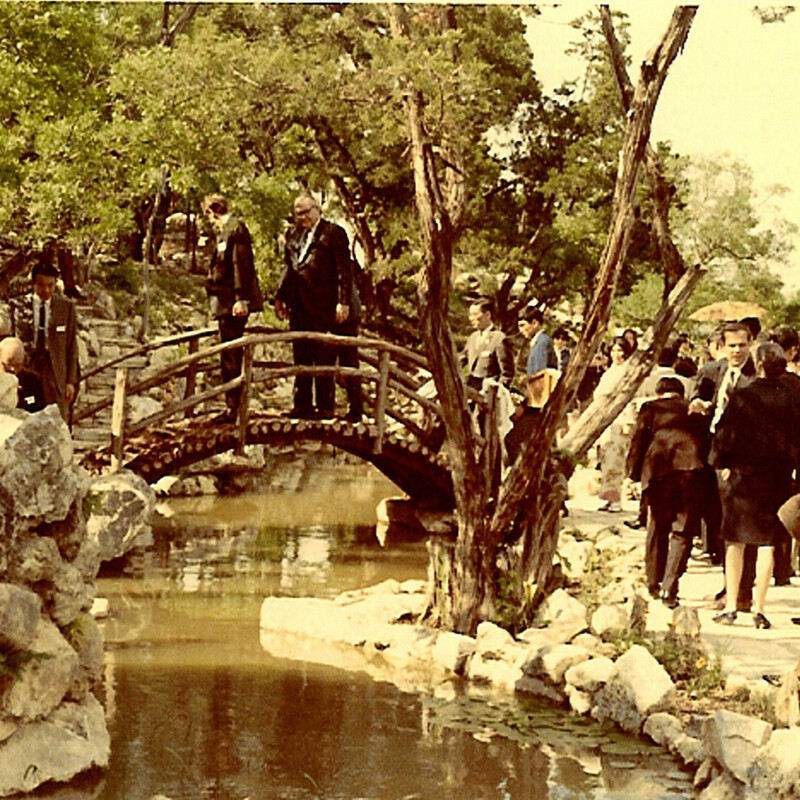 Taniguchi remained involved with the Japanese garden, occasionally leading tours, until his death in 1992. It is my wish that through the construction of this visible garden, I might provide a symbol of universal peace. By observing the genuine peaceful nature of the garden, I believe we should be able to knock on the door of our conscience, which once was obliged to be the slave of the animal nature in man rather than of the humanity which resides on the other side of his heart. It is my desire for the peace of mankind which has endowed this man of old age the physical health and stamina to pile stone upon stone without a day's absence from the work for the last 18 months. 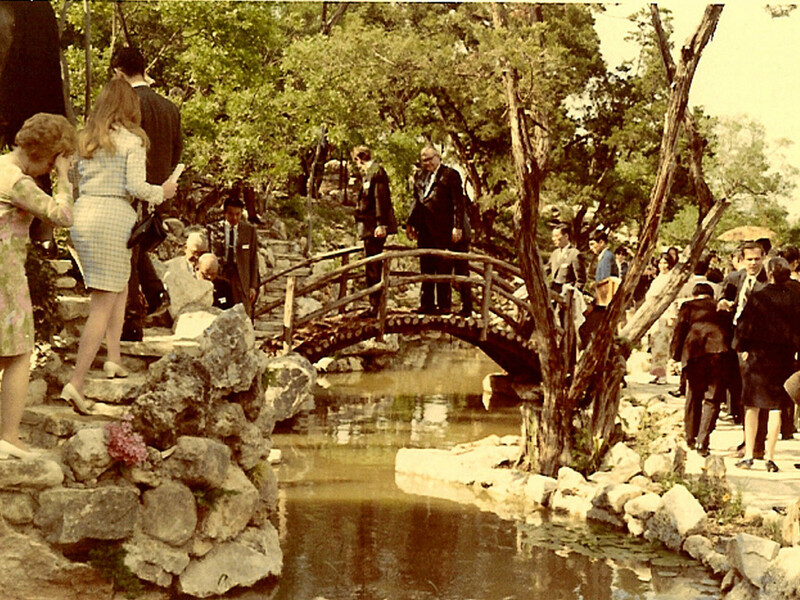 It is my desire for peace of mankind which encouraged me in my voluntary labor to complete this long-dreamed gift for the City of Austin--this Oriental Garden. It is my wish that you have pleasant communion with the spirit of the garden. 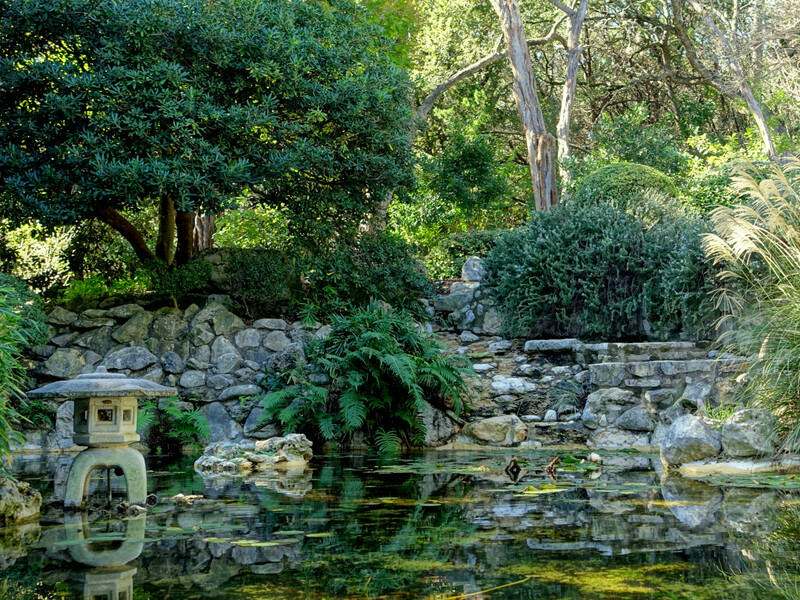 The Zilker Botanical Gardens are located at 2220 Barton Springs Rd., across the street from Barton Springs Pool. Gardens are open daily from 9 am to 6 pm. 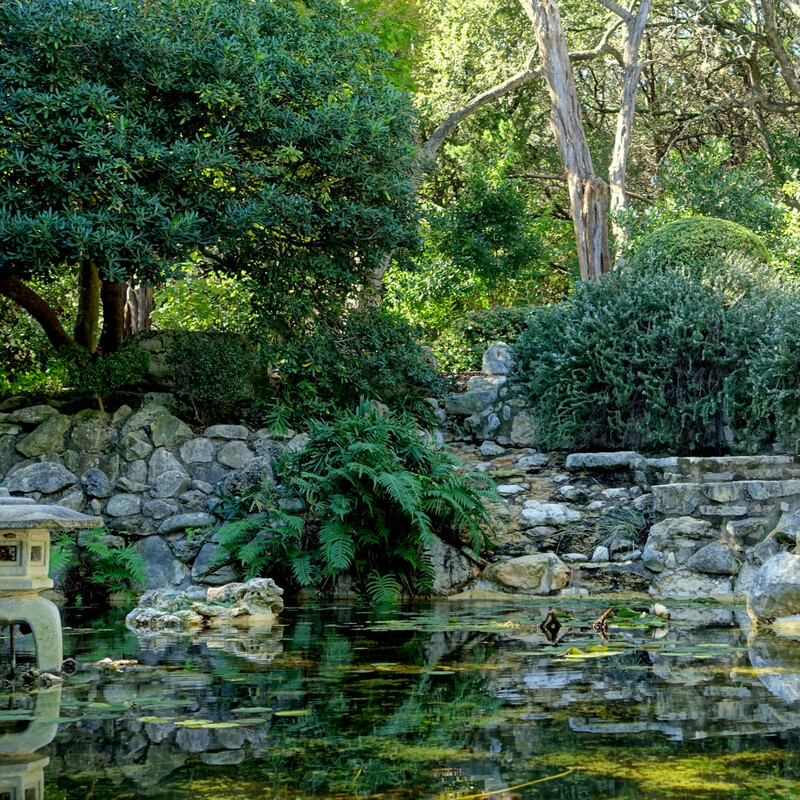 More than 100,000 people visit the gardens annually.